This week we are delving into Paulette’s wonderful PANDORA Collection. Paulette is such a huge PANDORA fan that she hosts not just one but two PANDORA Instagram accounts! Follow @bead_therapy and @pandoraexclusivefan to see her creative photographs and amazing Exclusive PANDORA charms. Hi Paulette! First I want to say a big thank you for taking the time to chat with us despite the crazy hurricane you are dealing with. We’re so glad to hear that you are safe and are taking the necessary precautions. 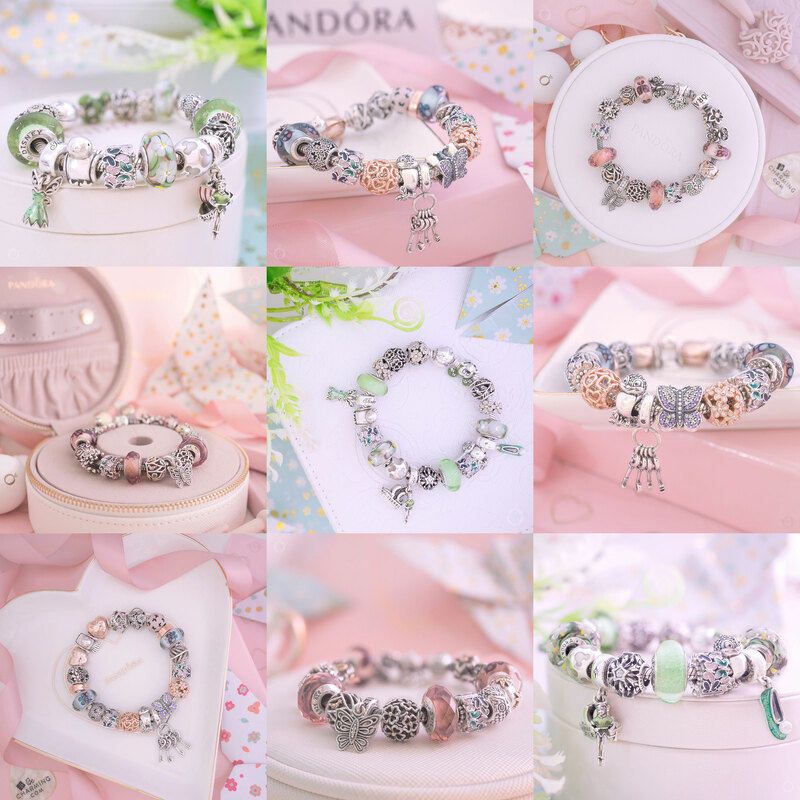 To start with can you tell us how long you’ve been collecting PANDORA? I got my first official PANDORA charms from my husband on Valentine’s Day 2012. He gave me the Cross and the Bear charms… he joked that he was my cross to bear! Aww that’s so sweet! I like his sense of humour too. What was it that made you first fall in love with PANDORA? I loved the details. For example, I didn’t like the bear when I saw it in the catalog but in person, it was just so cute! Then it was just a nice way to carry your memories on your wrist. 💍☀👰💖My niece got married in Destin so I just had to stop by @pandoradestincommons and get her an exclusive Destin charm. L👀k at all the wonderful choices! 🤔What's ur favorite? Dangles are usually my fave but I really like that etched murano! I just worry about the etching wearing off! 📸Photo by @pandoradestincommons. The stock images just don’t really show the character of the charm, do they? Countless times I haven’t really liked a charm when I first saw it in the official stock image, but then later I completely change my mind! Could you tell us about your collection? I have an eclectic collection. Most of my charms hold a meaning for me or evoke a memory. Some are standard like the First House and Mom one but others are different, like a Flower for my grandmother and a Lion for my daughter’s mascot. I’m really intrigued as to why a lion represents your daughter! As such a big collector, do you have any rare, or hard to find pieces? 🎉Introducing a new addition: the Pandora Longevity Lock💖💛🔒. It is so intricate and delicate, I just love it! 😍Thanks goes to 😊Cindy @cindybug555 for helping me get this beautiful 💖 Asian exclusive charm! I had a little trouble 📸 capturing it's beauty but Art of Pandora @theartofpandora did not so do swipe➡ to see 👀all the pictures! 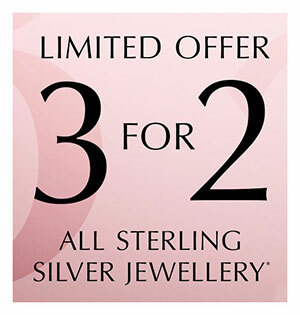 What is your all time favourite piece of PANDORA jewellery? Ooh, that’s hard to say! I love them all! But if I had to pick only one… I guess my favorite is probably the Silver Heart Clip my husband got engraved for our anniversary. But besides that, I don’t have one single piece that is my absolute favorite. I think that is why my wishlist is soo long! My favorites are my destination charms and ones gifted to me. It seems most of us appreciate the charms gifted to us the most. Now for the big question (drum roll please)… Paulette, do you make up bracelets one by one, or do you keep your charms and bracelets separate and make up bracelets for any occasion? Ha! I love it! That’s a cute idea! Do you have any special PANDORA promotional items in your collection? Not enough! I have the white tote bag with the picture of the lipstick on it, a PANDORA pen and phone pop up/holder. Paulette, you mentioned your ‘long wishlist’ earlier, what are some of the items on it? Currently at the top of my wishlists: A Travel Exclusive from every place I have been to, all the PANDORA Bangles especially those with an engraved message. I would also like to get a Silver Essence Bracelet and the oldest and newest Black Friday charms. From the recent Autumn 2018 Collection, I would LOVE the bangle and the Murano! I noticed you said wishlists, plural! I also have multiple lists. One is my dream list which contains items I don’t even write down as they are expensive or hard to find. What is your opinion of the direction PANDORA has taken in 2018? I have mixed feelings about it. I miss the old-style PANDORA so I wasn’t crazy about the Spring 2018 Collection, but the Autumn Collection looks good with classic timeless designs. I actually really loved the Spring Collection but the Autumn Collection has been a hit with me too. What would you like to see from PANDORA in the future? I would like to see a return to genuine gemstones in the pieces so there is more of a choice. I would like PANDORA to create a way to stay in closer touch with the collectors. That’s a great idea. I know other companies create specific beads that have been inspired or jointly designed with their fans. It would be wonderful if PANDORA could do something like that. Which Disney character would you like to see PANDORA produce in the future? Hmm.. I like the Disney Collection but I don’t have many pieces. Mulan would be nice. A Mulan range would be fantastic! Imagine a Murano Charm in a glittery lilac colour with pink and white cherry blossoms and then a handprinted Mulan silhouette on top! Paulette, you mentioned that you liked the Autumn 2018 collection, did you get any pieces? Not yet, but I have several on my wishlist! If you want to see more of the lovely Paulette’s collection, be sure to follow her Instagram accounts @bead_therapy and @pandoraexclusivefan. If you would like to be featured on Collector’s Corner in the future, comment below or email me dora@theartofpandora.com. Paulette is one of my dearest friends and has a sunflower bead that reminds her of me and our friendship. She is fiercely loyal, a great listener and it doesn’t surprise me she would want Mulan because she is certainly a fighter!